Pep Guardiola believes that one Manchester United star in particular is world-class ahead of today’s historic Manchester derby. Manchester United star Romelu Lukaku has been labelled as world-class by Pep Guardiola ahead of today’s Manchester derby. While Guardiola clearly rates Lukaku, check out this Betfred promo code 2018 and have a flutter on all the big games! 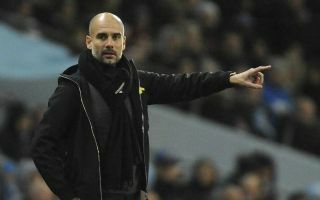 The comment comes from the Manchester City boss in the build up to what could be a historic and iconic Manchester derby. Man City of course have the opportunity to seal the Premier League title today and a win against Manchester United would grant them that in emphatic style. Guardiola’s latest comments could certainly be interpreted as a questionable method of mind games. The Spaniard decided to deflect attention away from his own team to instead praise Lukaku. The Belgian has been in inspired form in the last month and it is clear that he has caught the attention of many, including Pep. Lukaku was this week awarded the player of the month award at Manchester United for March with the striker having scored four goals and registered one assist in just five appearances.
? @RLukaku9 • #MUFC’s Player of the Month for March ? United and Mourinho will of course need their Belgian forward to continue his form into today’s clash to avoid an embarrassing scenario that could see them hand the Premier League title directly to their rivals. Guardiola took the opportunity before what could be an iconic and historic clash to praise Lukaku.